This updo is sure to keep you cool on those hot summer festival days. I love this style because it looks so effortless yet chic. Adding a headband is the perfect way to keep those fly aways out of your face. 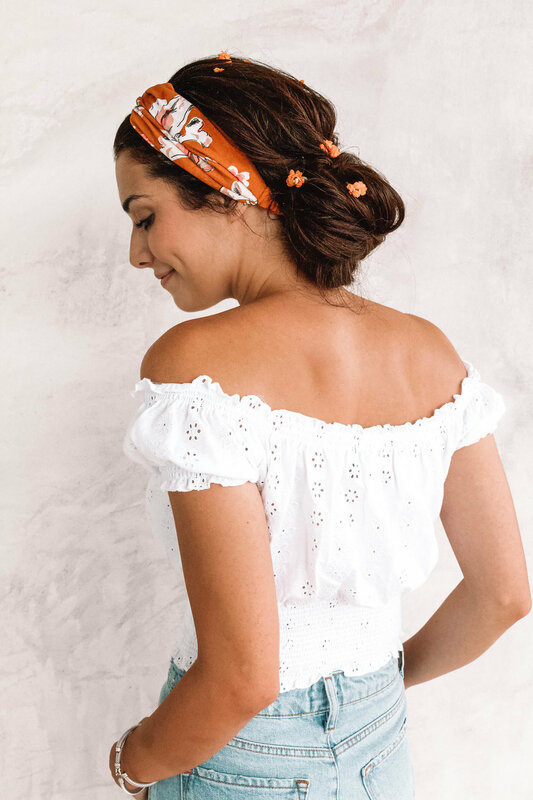 Throw in a few flowers to dress up the bun and give it that perfect bohemian touch. These certainly aren't your classic pigtail braids! The twisted fishtail pigtails incorporate curls, fishtail braids and randomized twisting of the hair. Such a fun and unique hairstyle if you're looking to really stand out from the crowd! I am in love with the classic dutch pigtail braid and think it would be a perfect look for festival season. The chunkier the braids, the better! Wrapping hair around the hair ties is the perfect way to hide them and even dresses up the look a bit! Hope you're feeling INSPIRED and ready to take on festival season!